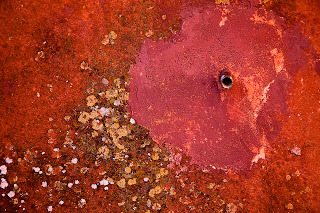 Back when the baking summer sun beat down on Roussillon I posted several photographs from Le Conservatoire des Ocres. 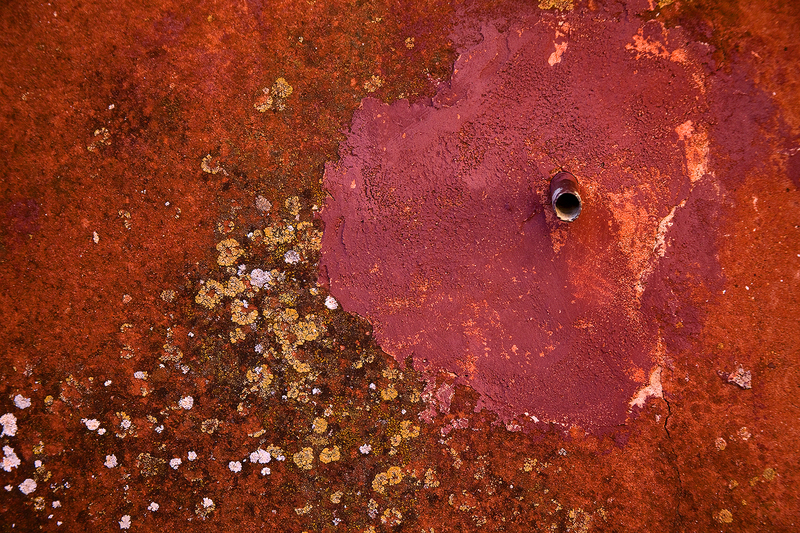 As you probably know Roussillon is famed for its seventeen magnificent pigments. 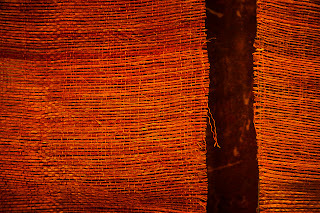 The images below show particularly robust applications of these intense pigments on a crude weaving and a wall in the village. 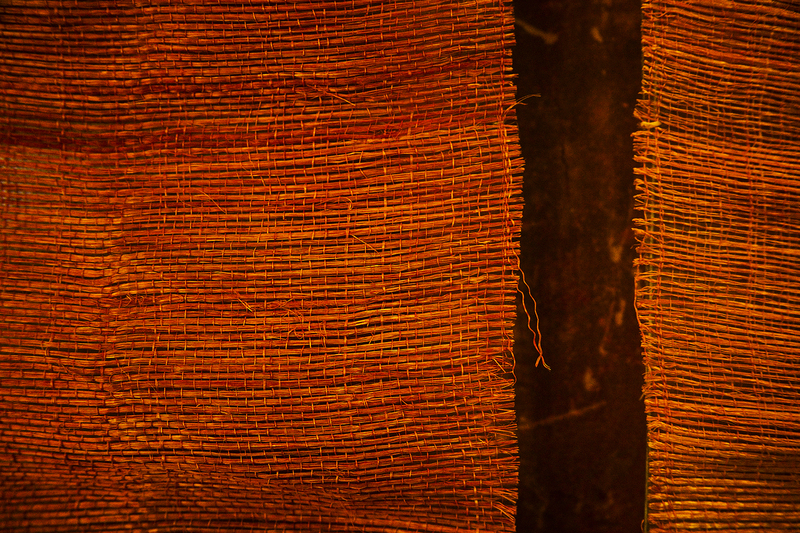 The weaving and the mottled wall make for most painterly abstracts. These are both part of Hearts and Stars, a benefit art exhibition with proceeds going the Taos Men’s Shelter and to Shared Table, a worthy effort to feed the hungry in our artistically rich but economically challenged community. The event began Saturday night and continues through December 9 at Wilder Nightingale Fine Art, 119 Kit Carson Road in Taos. What a great way to buy well priced small works and help your fellow man.